Because blogs can become very large, a sitemap is often needed to ensure that the major search engines can locate, crawl, and index each individual web page. However, creating a sitemap by hand every time you make a new blog posts gets very boring and redundant. 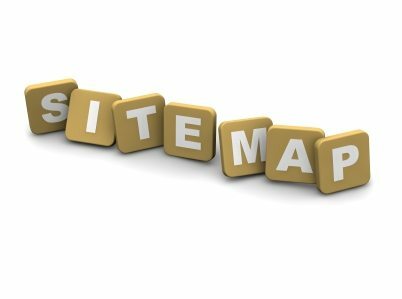 Thankfully, a WordPress plugin called Google (XML) Sitemaps Generator for WordPress takes all the work out of maintaining an up-to-date sitemap. Once the plugin is correctly installed, your sitemap is automatically rebuilt each time you make a new post. Not only that, the plugin also pings the major search engines to alert them that you have updated your sitemap and added new content. This should bring the search-engine spiders to your site, and then direct them to your newly added Web page or pages. This plugin makes getting your Web site fully indexed by Google, Yahoo, Bing and Ask incredibly easy. The more pages you have indexed, the more chances you have of being returned as a search result. This plugin is free, and has consistently been updated to match each update to the WordPress blogging software. The Google Sitemaps Generator for WordPress provides you an easy way to make sure your WordPress blog includes a Google sitemap. Providing Google with a valid list of all your pages is an incredibly helpful addition to the process of getting your blog fully indexed by Google. Although certain aspects of search-engine optimization require and attention to detail and interpretation that cannot be done automatically by a script or program, certain tasks can be fully automated. Whenever possible without sacrificing quality, you should make an effort to automate parts of your work. Keep an eye out for updates to the WordPress system. Often, developers of popular extensions and plugins are ahead of the curve, buy you do not want to update your copy of WordPress until you know your plugins can handle the switch. This entry was posted in WordPress Web Design on October 9, 2013 by Ross Lund.